PLEASE update your contact information now. Please REGISTER on this site, but we are asking now that you plan to pay at the door - cash or check or we can take your credit card manually. It's a live LOBSTER feast and sea-food boil (there will be other options) with all the fixings for fresh lobster tacos, fabulous sides and with open bar 6 - 9pm. Join the current students and staff at the football stadium for the homecoming pepfest! YES! The school is so large they hold the PEPFEST at the field. If we can get enough people, maybe our football players can challenge the current players to a tug-o-war? After the pep-fest come back up the hill and take a SCHOOL TOUR. Walk the halls and see all the great changes and updates that have been made. The new auditorium is beautiful, and wait until you see the exchange at the link and the west building! HAPPY HOUR! Then lets get together for some merriment at the CHATTERBOX PUB at 44th and France. Help us build and decorate the class of 1990 parade float in the parking lot and hang out with friends. The HOMECOMING PARADE starts at 9am in the circle/link. Let us know if you plan to ride (think it would be fun for the kids) on the float, walk along or drive your own car/truck or motorcycle. The route is the same – east to Xerxes, west on 50th and then south to the football field. Kickoff is scheduled for 11am – SOUTHWEST vs. ROOSEVELT. The football boosters do a great job putting on a big show. They also have great concessions and Southwest items for sale. We will save you a spot! 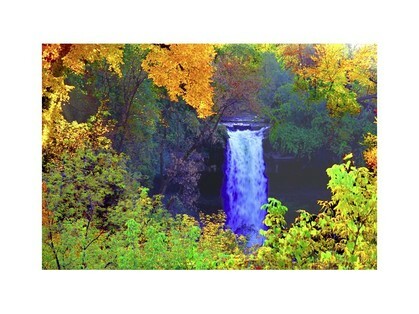 PARTY TIME – We are thrilled to have secured the Minnehaha Pavilion overlooking beautiful Minnehaha Falls for our reunion. And to have the event catered by the award winning Sea Salt Eatery, co-owned by 1990 graduate Jon Blood (there will be non-seafood selections as well as the freshest seafood fair in Minneapolis). Cost is $50.00 per person (FYI class of 1989 charged $80 per person. We are trying very hard to create a fabulous party with wonderful food and music for a very fair price). Nothing official as of now – but is there interest for a golf outing? Catching the Vikings game at a bar or someone’s home? Please indicate your interest when updating your information. Average temperatures for the first week of October are a low of 45 and high of 65 degrees. Please plan and dress accordingly as much of the weekend will be spent outdoors. The reunion is planned to be a casual and fun event.